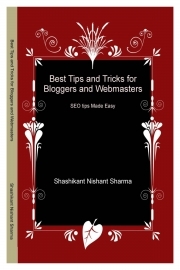 Description of "Best Tips and Tricks for Bloggers and Webmasters (eBook)"
This book gives the user a well defined guidelines for effectively using the tips and tricks in blogging to maximize the visibility and readership of the blog or websites. The step-wise instructions will help you customise the tricks to suit your desired purposes. Enjoy better blogging! Reviews of "Best Tips and Tricks for Bloggers and Webmasters (eBook)"